Did you know that you could save up to 30% on your annual energy bills by reducing air leaks in your home? According to the Department of Energy, sealing air leaks not only helps you gain energy savings, but it can also make your home more comfortable afterward. One way to prevent air leakage is to add caulking or weather stripping to your windows. If you have units that are old and have significant damage, however, your best bet would be to install replacement windows in Detroit. Insulated Glass – It combines multi-layered low-emissivity (Low-E) glass and argon gas. Our windows in Detroit can make your home warm enough in winter by letting in solar heat through the insulated glass and keeping much-needed energy inside. In summer, it minimizes heat that enters your home while filtering out harmful ultraviolet rays. Innovative Thermal Barriers – Alside windows make use of advanced spacer systems that keep insulating glass in between the panes, reducing energy loss. The PPG Intercept® and ThermD™ Stainless Steel Intercept Warm-Edge Spacer systems keep your window edges warm during winter. With these, you can enjoy lasting comfort no matter how cold it is outside. Argon Gas – To boost the energy efficiency of your replacement windows in Michigan, Alside puts argon gas in between their panes. Aside from minimizing heat loss, it also serves as a noise barrier that prevents unwanted sounds from getting in and out of your home. 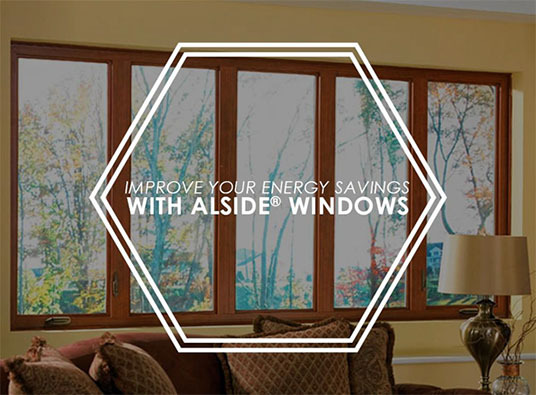 By installing Alside windows, you can improve your winter and summer thermal comfort, gain significant energy savings, and reduce window condensation as well as outside noise. You can get these benefits and more by working with Kroll Construction. For over 50 years, we have been helping local homeowners improve their quality of life through our topnotch products, including Alside replacement windows. To learn more about our Alside windows, you can call our experts at (888) 338-6340 or complete our form. We’ll be ready to assist you every step of the way.